Wednesday, September 16, 2015. 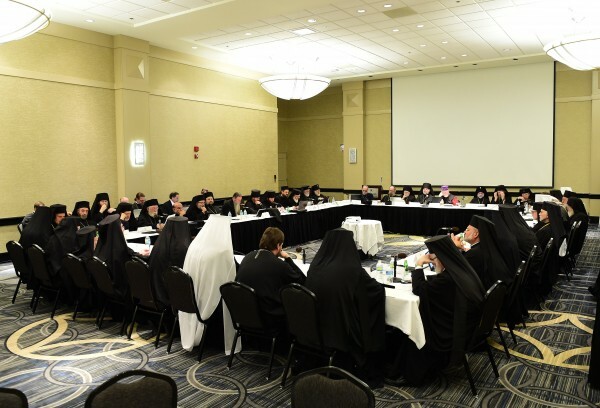 Chicago, IL--The Assembly of Canonical Orthodox Bishops of the United States of America convened its sixth annual meeting Tuesday, September 15 in Chicago, IL with 45 hierarchs in attendance. The day began with a celebration of the Divine Liturgy at St John the Baptist Orthodox Church in Des Plaines, IL.